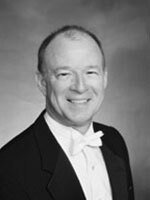 Terry Austin is Director of Bands and Professor of Music at Virginia Commonwealth University where he oversees all aspects of the band program and teaches courses in conducting, and music education. Under his leadership, the Virginia Commonwealth University Symphonic Wind Ensemble has earned a reputation for musical excellence and has been invited to perform at numerous professional conferences including the American Bandmasters Association, MENC, the College Band Directors National Association, and the Virginia Music Educators Association. He is an active guest conductor, clinician, and adjudicator and is published in numerous journals, including the CBDNA (College Band Directors National Association) Journal, BD Guide, Young BD Guide, Instrumentalist, Dialogue in Instrumental Music Education, The National Band Association Journal, The Indiana Musicator, the Missouri Journal of Research in Music Education, and VMEA (Virginia Music Educators Association) Notes. Austin is chairman of the National Band Association/William D. Revelli Memorial Band Composition Contest, a member of the Board of Directors of the John Philip Sousa Foundation and the National Band Association, and a past-president of the Virginia Music Educators Association. In addition, he has served on the Board of Directors of the Southern Division of MENC: The National Association for Music Education, and he is a member of the College Band Directors National Association, Pi Kappa Lambda, Phi Beta Mu, and an honorary member of Kappa Kappa Psi. Dr. Austin received the 2005 Virginia Commonwealth University School of the Arts Distinguished Achievement Award of Excellence. He is an elected member of the American Bandmasters Association, included in Who’s Who in Fine Arts Higher Education, a multiple recipient of Who’s Who Among America’s Teachers, and the National Band Association Citation of Excellence. Dr. Austin has also been designated as an Honorary Kentucky Colonel. Dr. Austin founded and conducts the Greater Richmond Youth Wind Ensemble, and the Commonwealth Winds, an ensemble comprised of Richmond area teachers and professional performers. Austin earned a Bachelor of Music Education from Indiana University, a Master of Arts in Music Education from the University of Hawaii, and a Doctor of Philosophy in Music Education from the University of Wisconsin-Madison. He lives in Richmond with his wife, Tracia and twin sons Joshua and Seth.